This is one restaurant that I have been wanting to go to, but may not be suitable for the family in the evening. We decided to go unannounced for Brunch (bad idea), when it is usually a family crowd. The place is crowded out for the brunch, and fully booked. But when the restaurant manager (Amos) saw my 87-yr old Mama, he decided to do something special for me by arranging a table. Their signature English Fry-Up is a typical English Cooked Breakfast without the baked beans. 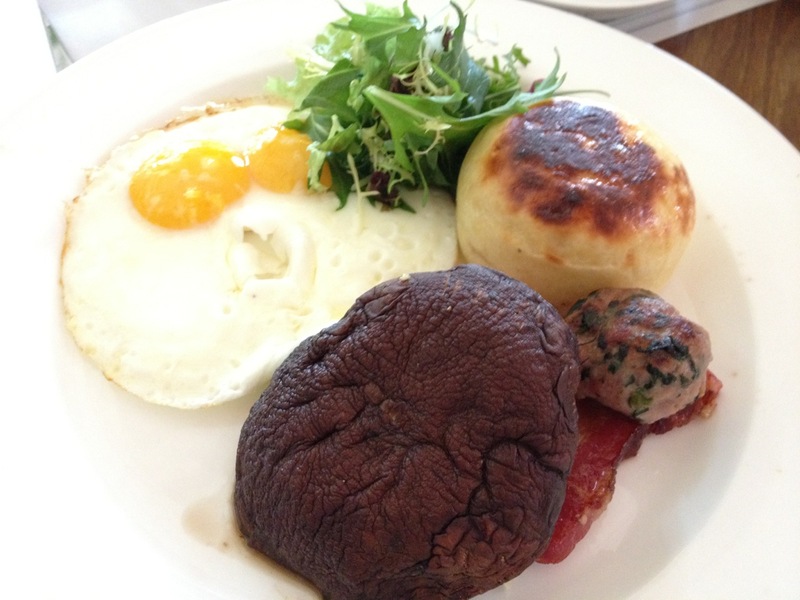 Served with a grilled Portobello mushroom, it came with a fluffy biscuit and 2 eggs of your choice. The homemade sausage and thick-cut bacon were the highlights of this simple dish. But at $24, it is definitely not your kopi-tiam breakfast combo. The Linguine ($28) was generous in the serving of seafood. A tangy taste with al-dente linguine made this a very palatable dish. My daughter loved it and refused to share it with us because it was good. 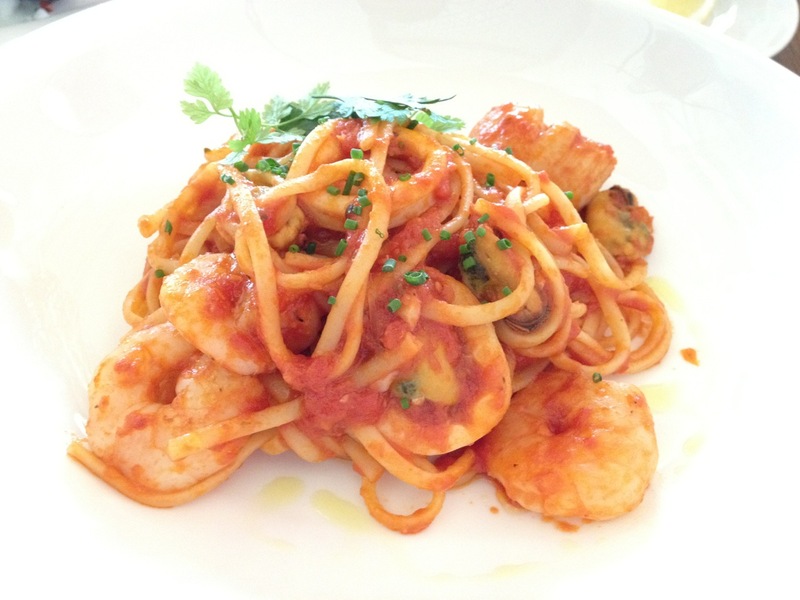 My only comment on this dish – it’s more like seafood with linguine rather than seafood LINGUINE. There isn’t much of the linguine in the dish. 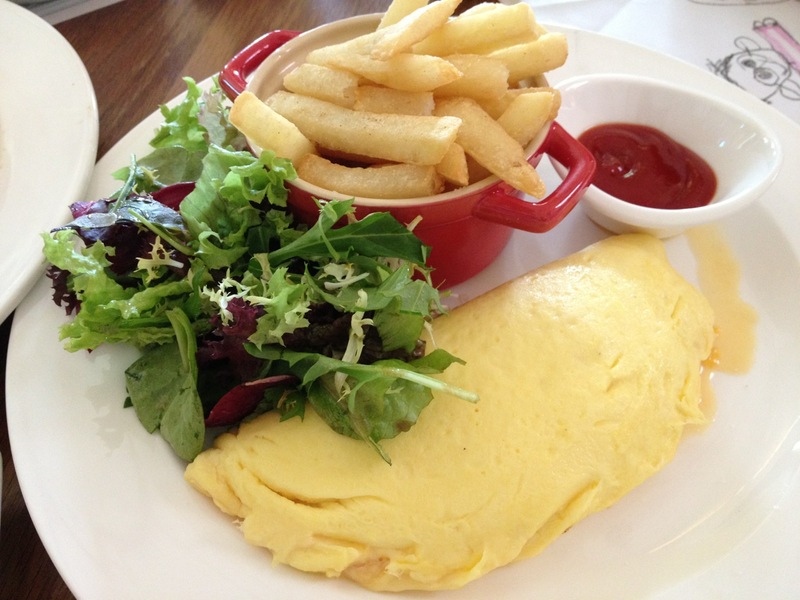 The omelete was light and fluffy with lobster stuffing. Overall it was a well-balanced dish, flavourful yet not over-powering with cheese as per some other places. At $30, we expected more lobster. 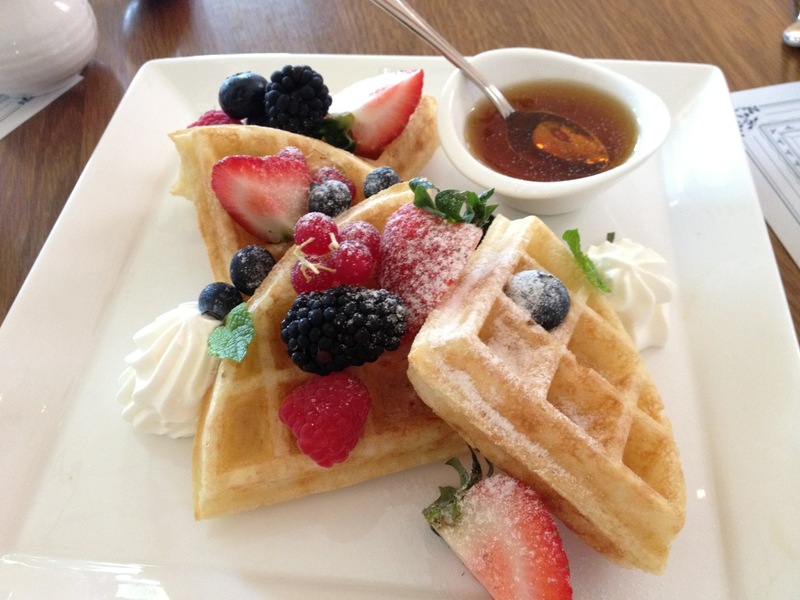 The highlight of the day was the Blgian Waffles ($16). The waffles were light and fluffy, and unlike pre-made waffles in Starbucks or pancakes from McD, the dought was not heavy and starchy. The fresh whipped cream was a nice touch which complemented well with the maple syrup. All-in-all, White Rabbit lived up to its reputation, and I look forward to the return visit. Service: The yardstick for all others to follow, Kudos to the extra mile they did! Ambiance: Nice chapel, airy and bright. Food: Hearty breakfast stuff, good serving, but pricey. 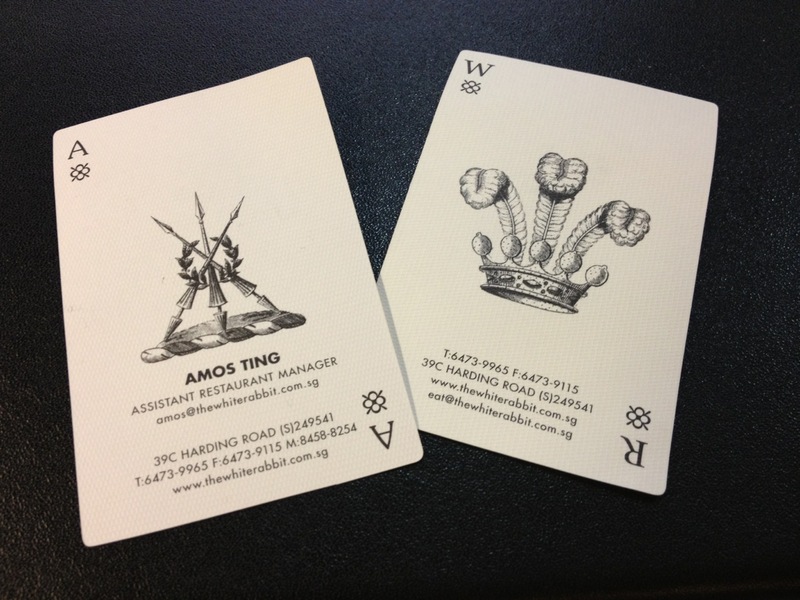 Price: $60++ pax.